Association of Afghan Blog Writers (AABW): Why Do I Blog? As a young blogger, I see blogging as a way to share my positive thoughts and ideas on different subjects, arts (photography, drawings), news about Afghanistan and issues on a much a larger scale that is global issues affecting all of us. I do it mainly because it is a personal hobby for me. Blogging is not too much old as it became very popular in 1998. I started blogging in fall of 2010 and so my blog is not too old. There are many reasons that I like to discuss about why I like to blog. Blogging is now a very social thing. Everyone can keep a blog for different purposes. One can connect and make friends around the world. It doesn’t require any special knowledge of writing and is very easy to start. Blogging is now also a serious thing. Some blogger have actually been punished by governments for expressing their ideas. Their writings have been seen as an insult to the governments and as a result some writers have had to face jail. On the other hand, bloggers's also get respectful prizes for their blogs specially the ones who write academically and on important global affairs. People use their blogs as a source of genuine information. Personally, I write my blog because I think writing is an important tool in understanding many issues and getting a message across to people. When I blog, I feel like I am communicating my feelings and thoughts; communicating not only with the world out there but also with myself. As I write I put my feelings and thoughts into words and so I am in touch with the world, I communicate with the world. Sometimes I look at what I write, evaluate it and re-shape it. At times, I leave it as it comes with no more editing. I evaluate and edit my original thoughts and writings because it helps transfer my thoughts in a way that is understandable to the people who read my blog. After all, what I feel and write may not always be perceived as I intend but it helps a lot when thoughts are transferred neatly into words. But sometimes it is best to leave the words untouched and the interpretation to the reader’s own imagination. Sometimes I just write about what I dream. Sometimes I write about things that I would like to do one day. It may look like fiction, but one day I hope I will be able to do some of those. For example I want to go to the Amazons or climb to the top of the Himalayas. Therefore as I write, I feel I am creating and the joy of creating is known to all. I blog because there is so much I want to say. As a kid with great ambition and thus my blog title “akidwithgreatambition”, blogging is my first platform where I can raise awareness about issues that are close to my heart, important for me and I think important for everyone else. I write about nature. I write about how beautiful this world is and it can be for all. I write about nature because I want everyone to know about it and appreciate it as I do. I love our planet and am greatly concerned about how it is changing due to reckless behaviour of people. It makes me angry when I hear that thousands of hectares of forest are being cleared every year in Amazon for instance. I write about global warming so I can stay up to date with matters related to it and at the same time inform my readers about this important topic. People might think it is a serious issue that adults should deal with but I believe the responsibility to keep our home clean and sustainable lies on everyone’s shoulders including kids my age. If we develop good habits of recycling, reducing pollution and buying environmentally friendly goods from a young age, we are more likely to keep such habits for the rest of our life and transfer them to our children too. So I write to help myself understand global warming better and raise awareness about it. I also want to be a voice for the voiceless. I want to write and share about the painful life of kids in Afghanistan with the rest of the world by blogging. A large number of children are homeless in Afghanistan and they live on the streets. Most of them are beggars and labourers. In developed parts of the world, children don’t have to do any work. They enjoy their childhood and are worry free. In Afghanistan and a few other countries, children are deprived of their childhood and have to work or beg to feed their families. Most of them are abused too. These children do not have the same opportunity that I have so I write to share their pain and suffering with the world. I feel connected to them when I do this. One day I will be able to do more for them. I also write my blog to inform the world about my country Afghanistan. People have seen a lot of negative things about Afghanistan on the media but I want to show them the other side too. I want the world to know that there is another side to all of this, a much bigger one. There is positive side. By writing about the old and modern artists of Afghanistan and their work I want to inform the world about my culture and how it used to be before the wars destroyed my country. I know there is a lot of violence and destruction going on but despite all these, there still is love for arts, music and humanity among my people. I hope that through my blog, people will realize this and become interested in knowing about Afghanistan. Awesome one! Great Article about the blog with the full information is well. Article seems to be quiet inform-able with good contents is well. 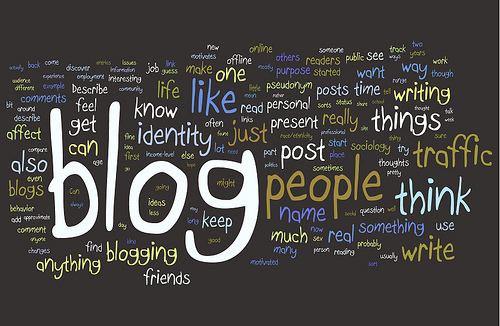 Blogging not only creates the community but also makes updating areas and have best world. 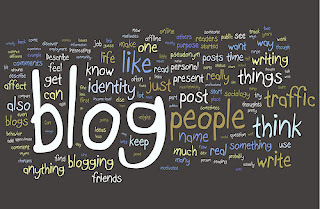 Blogging is simple word called the information world!